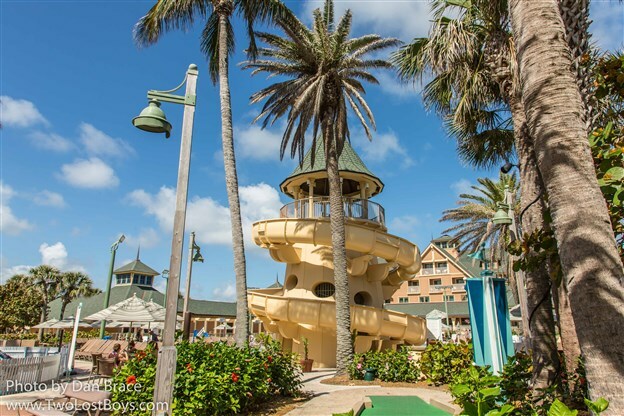 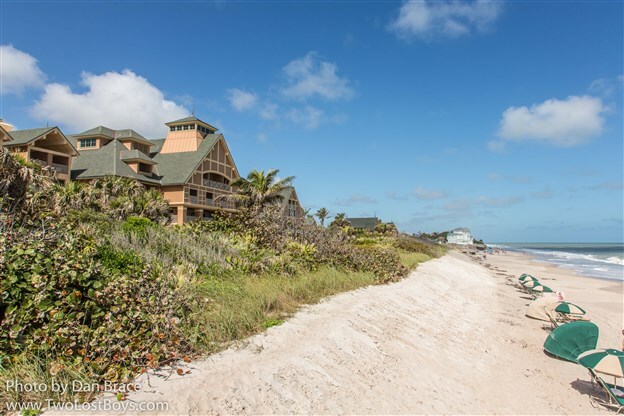 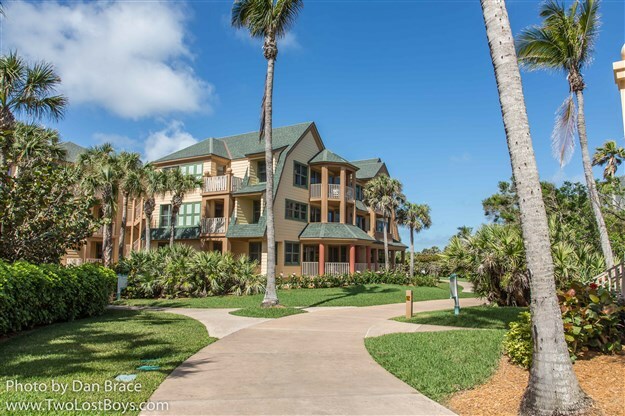 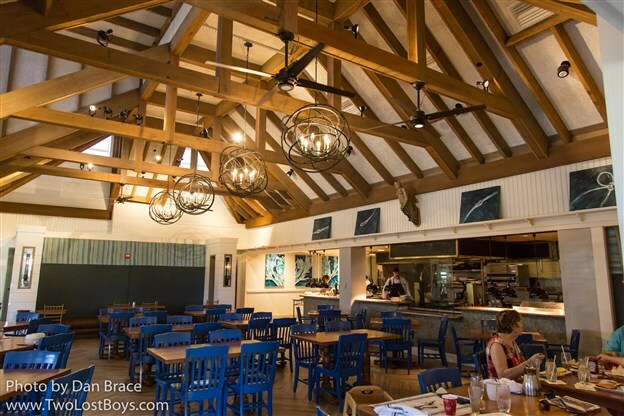 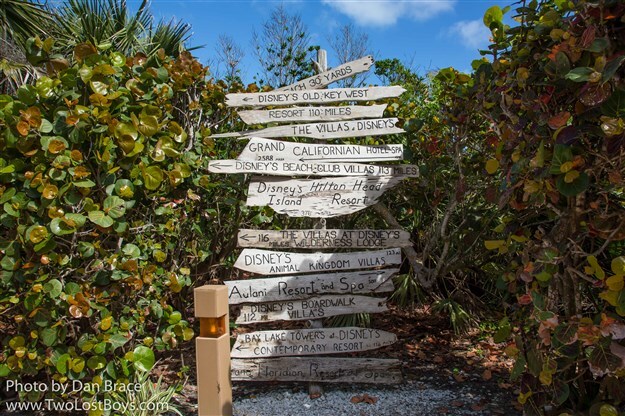 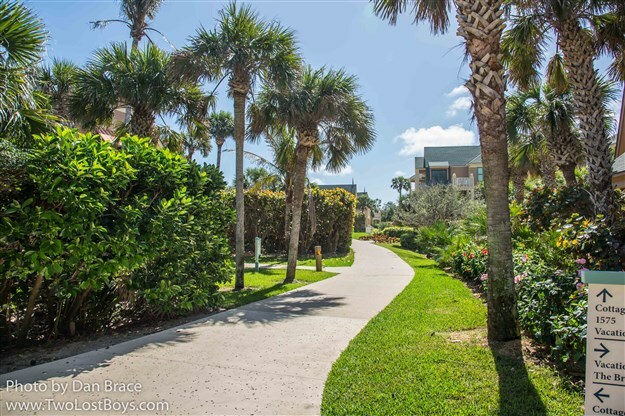 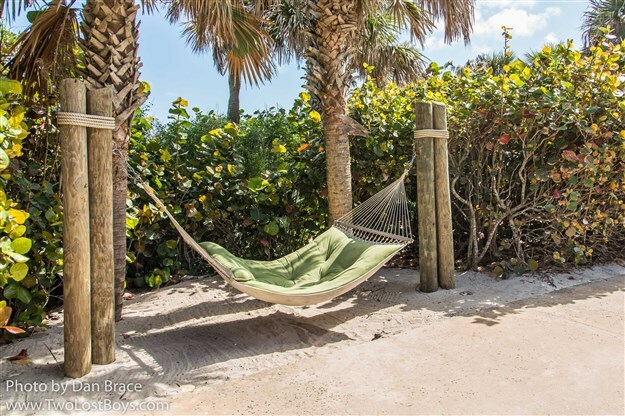 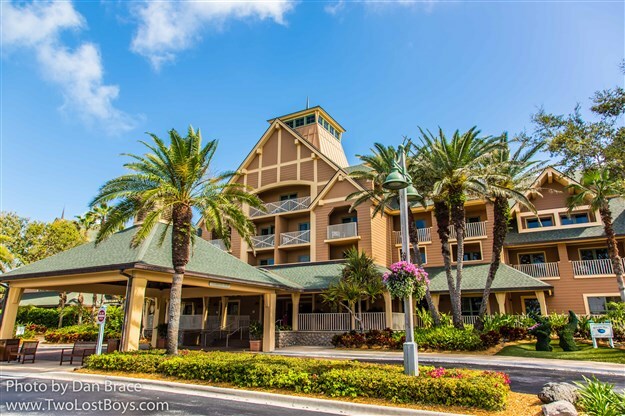 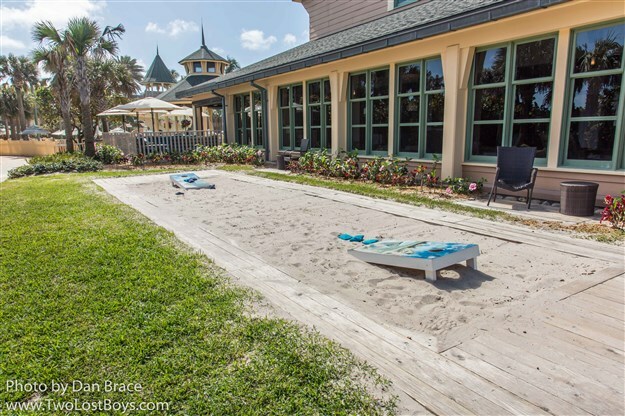 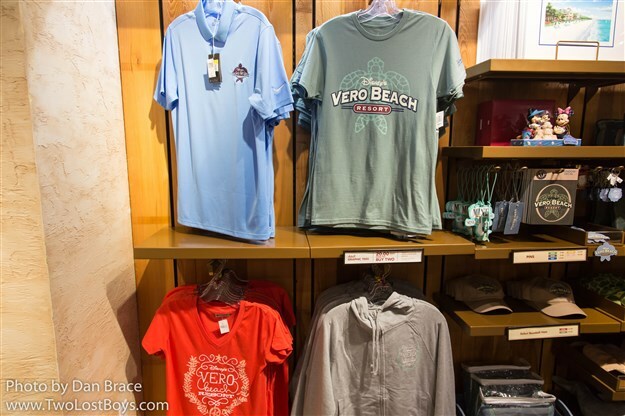 Disney's Vero Beach (simply "Vero Beach" hereon in for easiness) is situated on a main road. 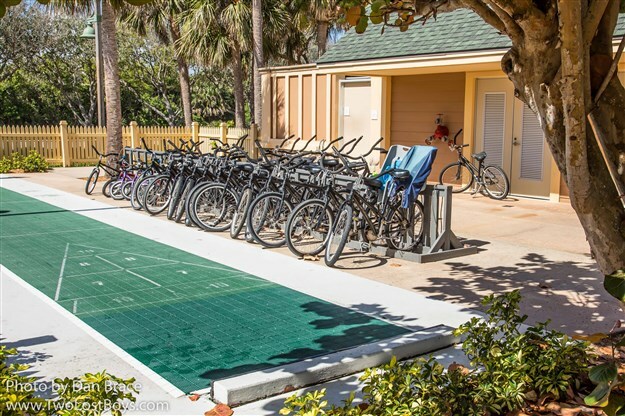 Parking is free, if a little limited. 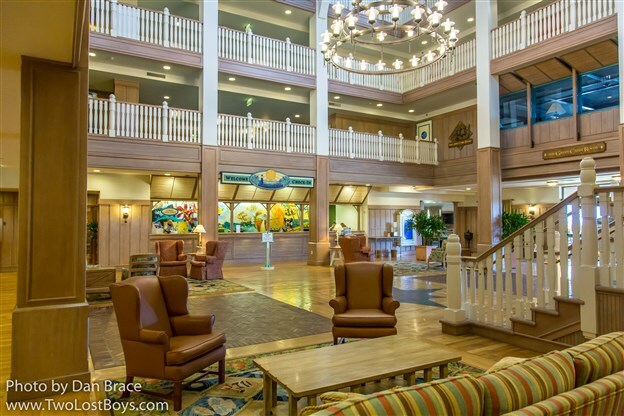 The building itself is none too imposing, and is reminiscent of the Boardwalk or Beach Club at WDW. 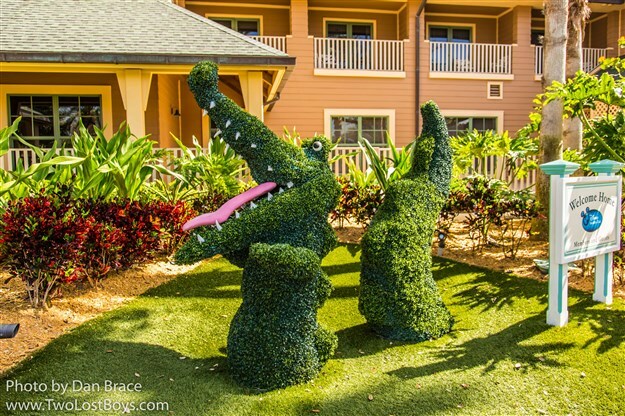 There is a fun alligator topiary at the front, and a nice sea turtle flower bed by the main door. 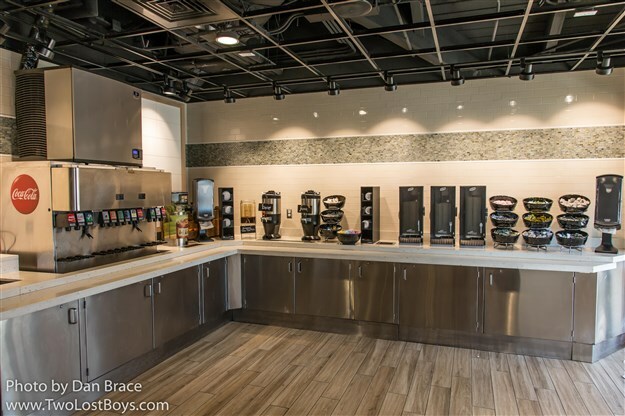 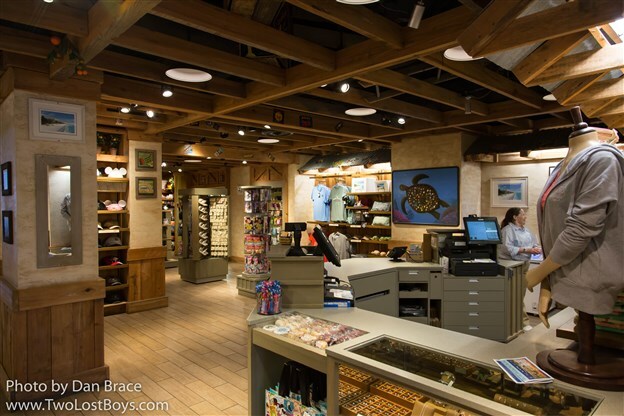 Once inside the main lobby you'll find a fairly calm, open space, with chairs, the check-in desk and the main store. 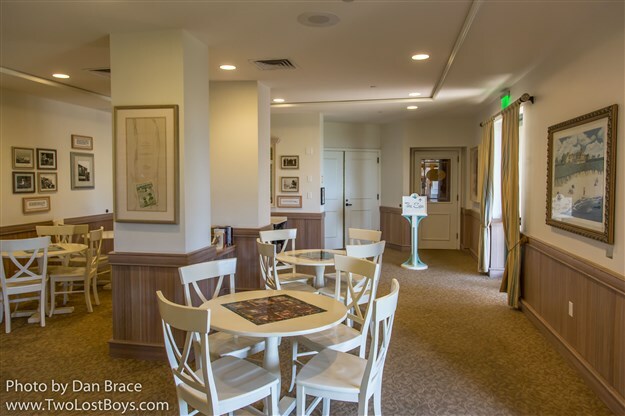 There is a corridor that runs along the back of the lobby that leads to the spa and dining locations. 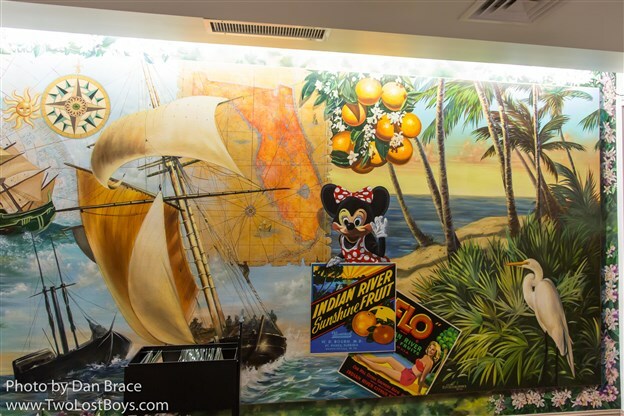 The check-in area has a fun retro mural behind it, depicting Mickey and Minnie from days gone by. 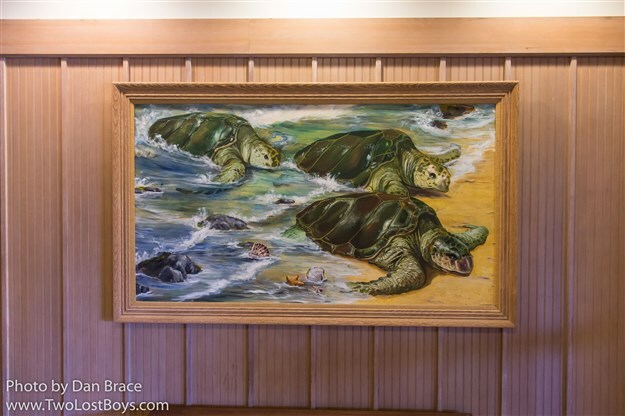 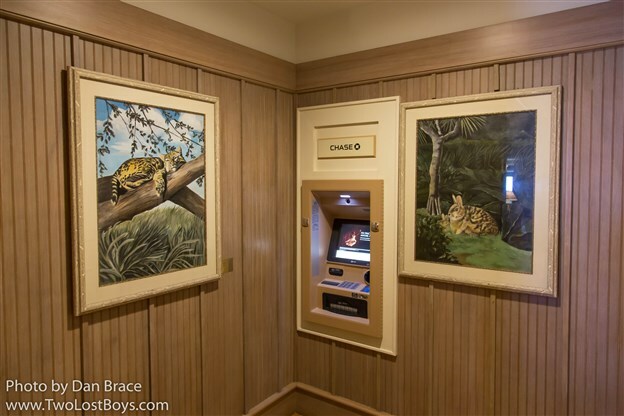 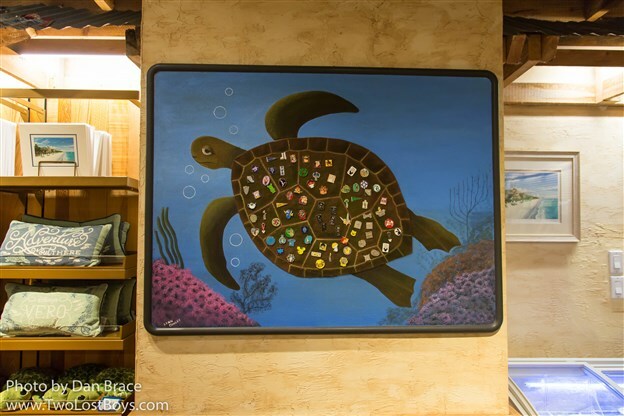 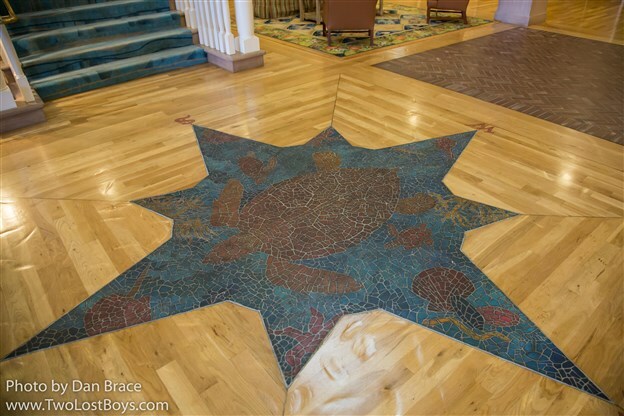 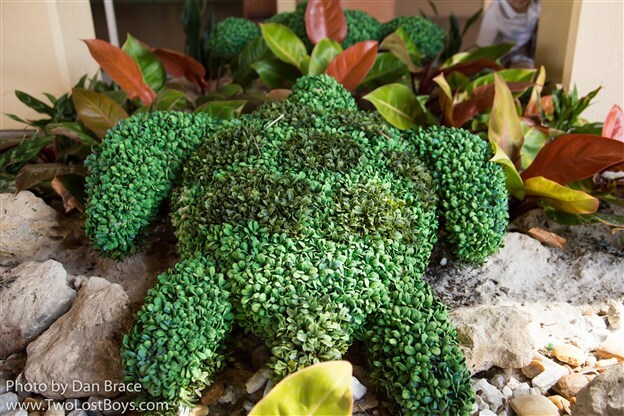 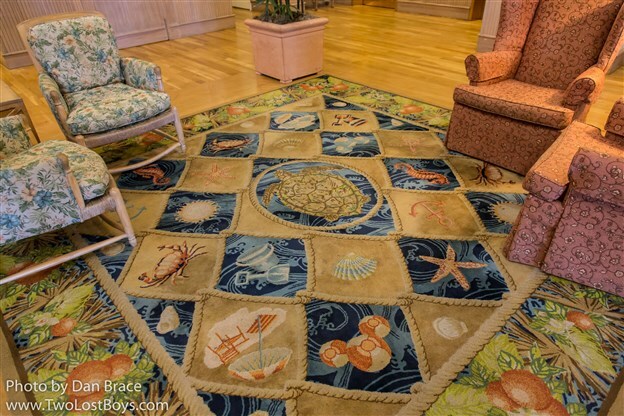 There is also a definite sea turtle theme going on around the lobby, which continues throughout the property. 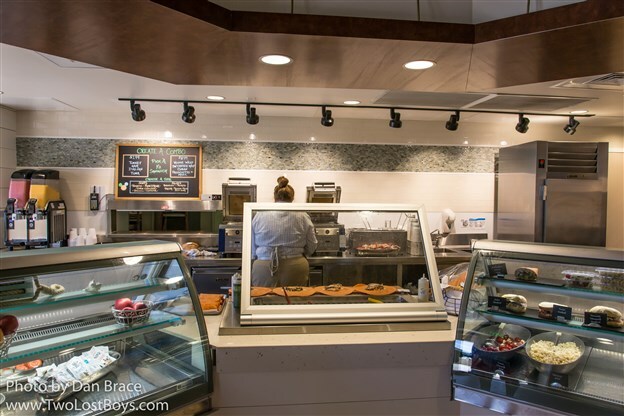 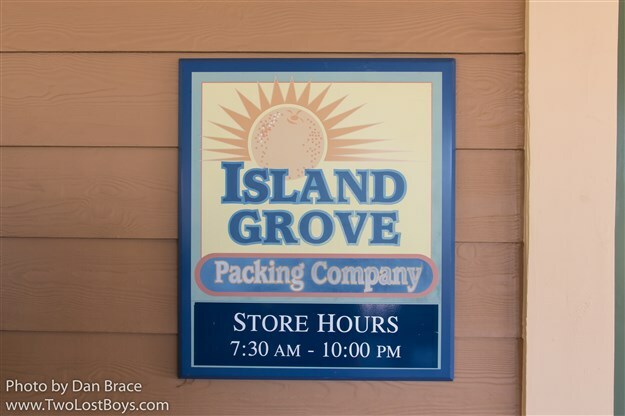 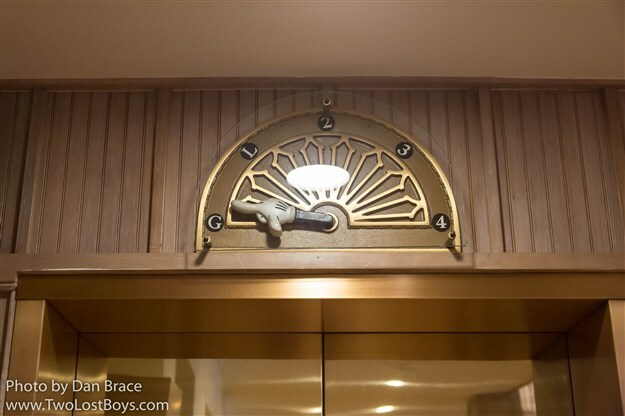 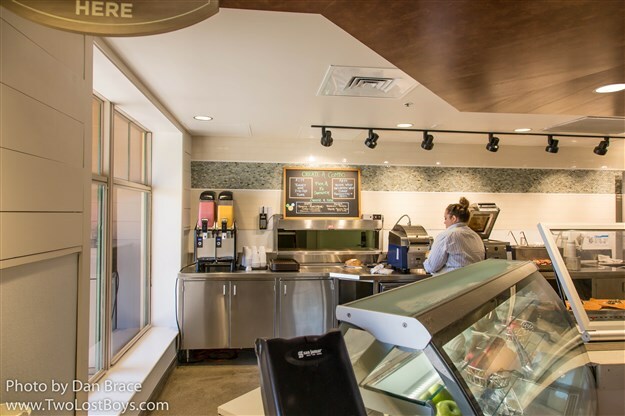 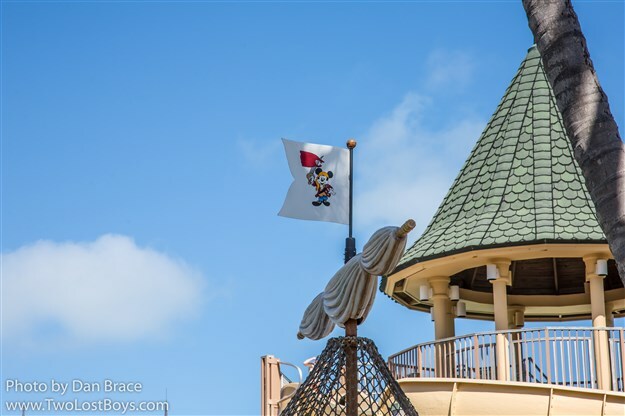 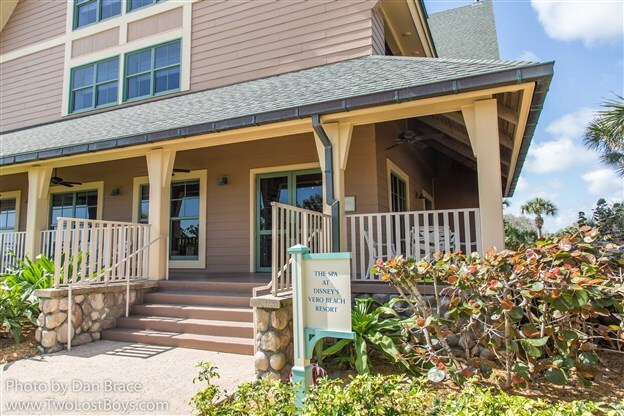 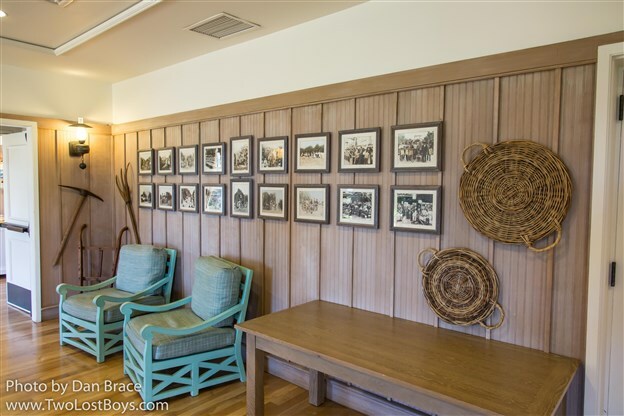 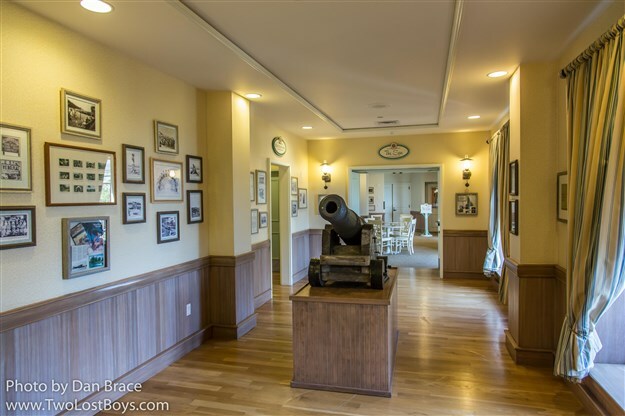 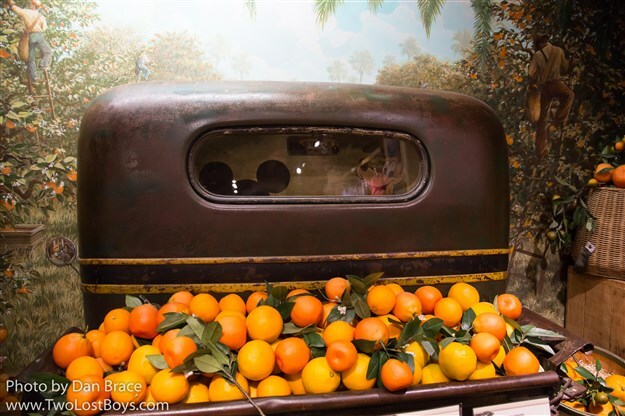 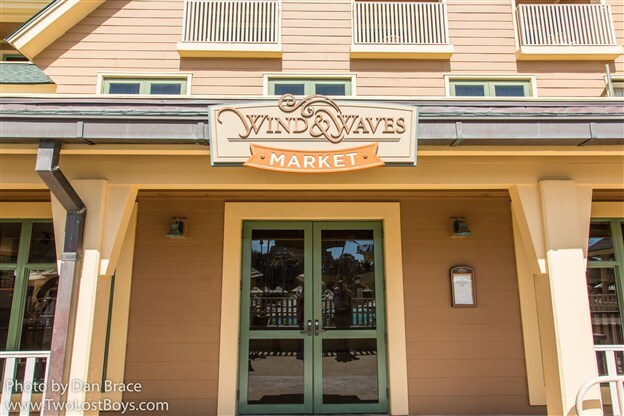 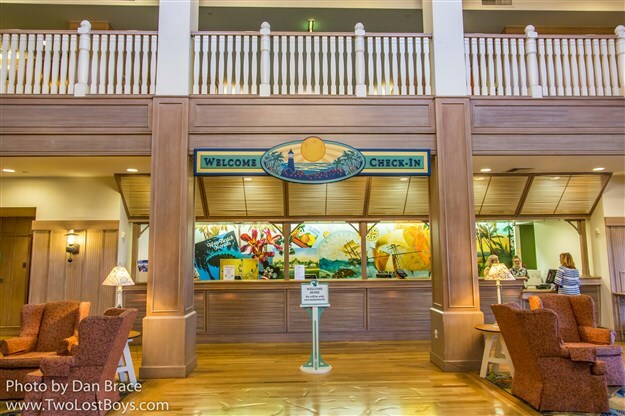 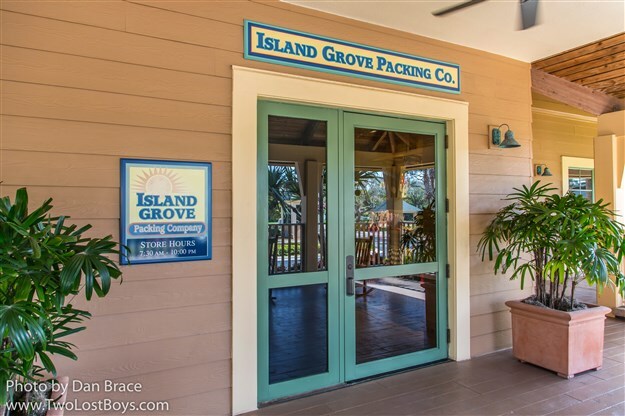 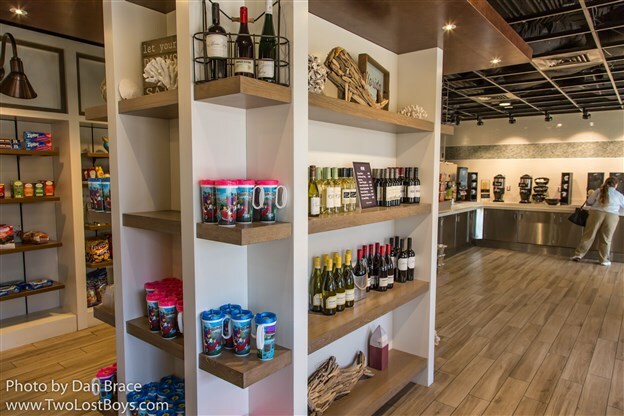 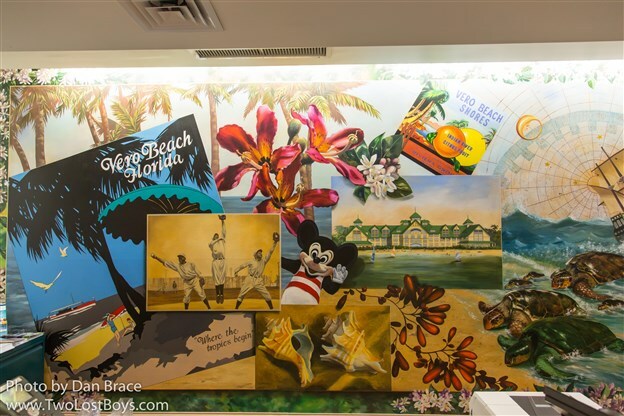 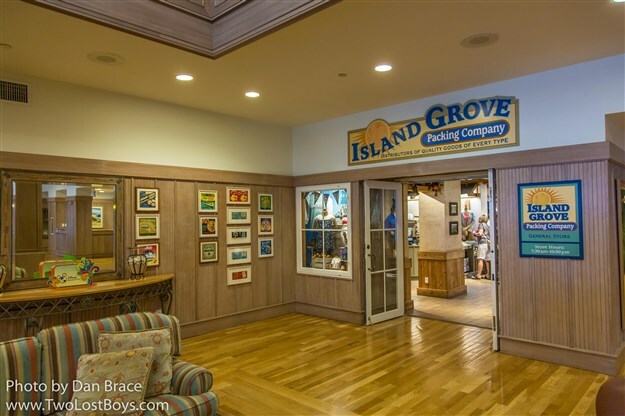 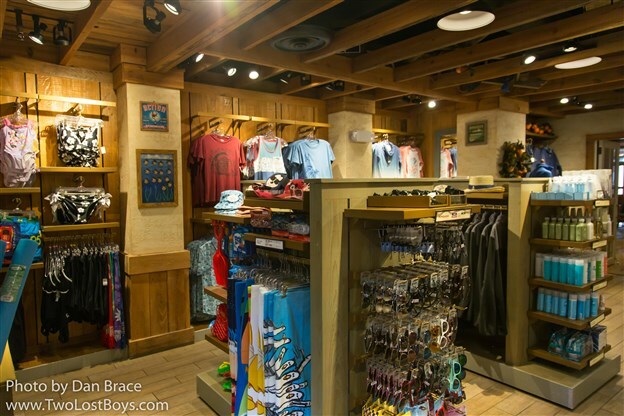 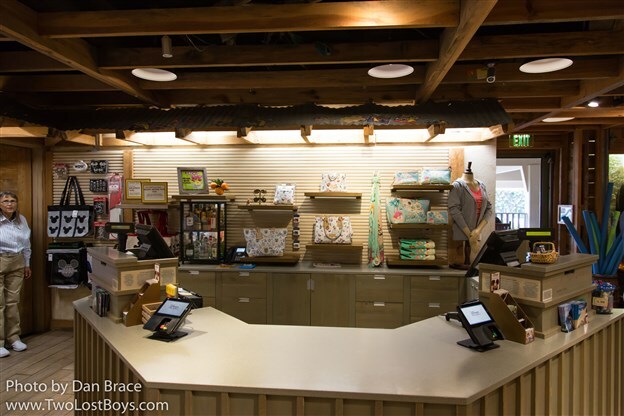 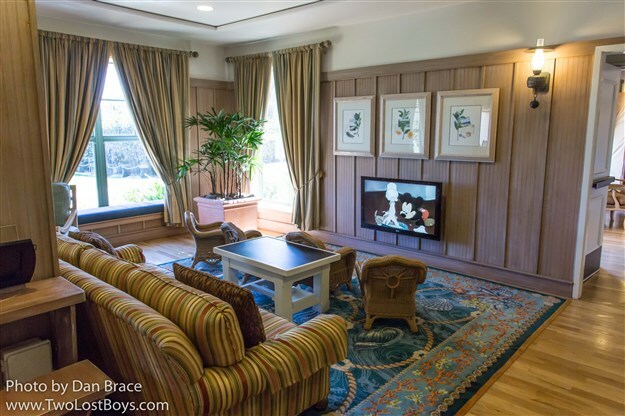 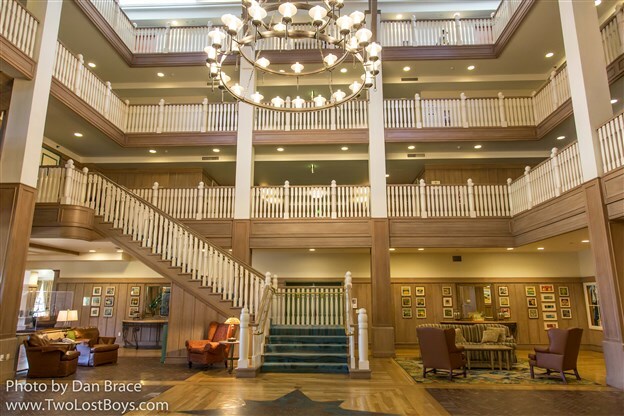 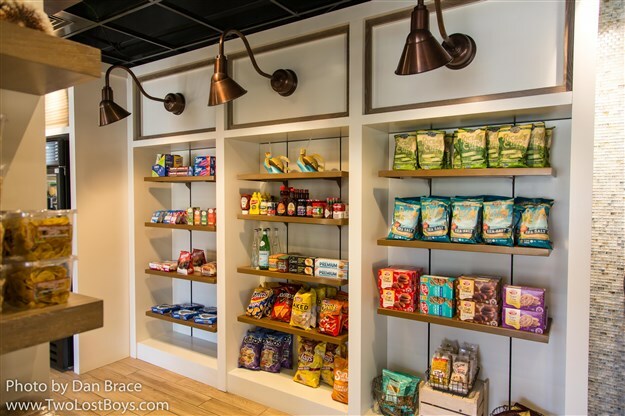 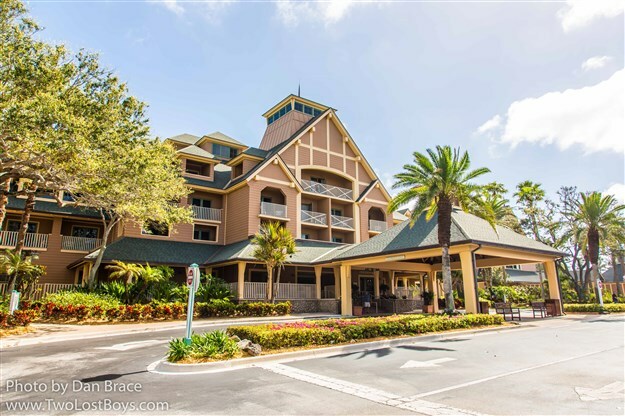 The property's only Disney gift store is Island Grove Packing Company, which can be accessed from both the outside terrace and inside the lobby. 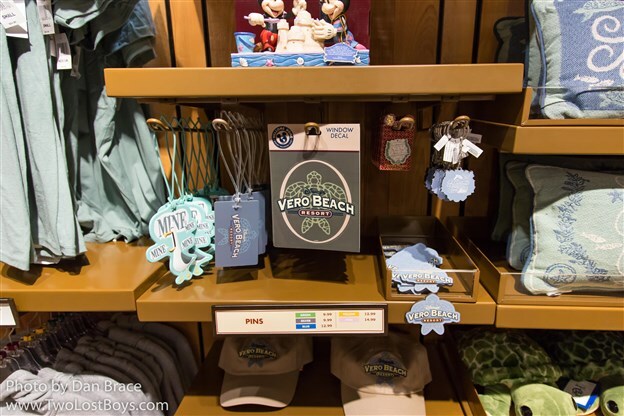 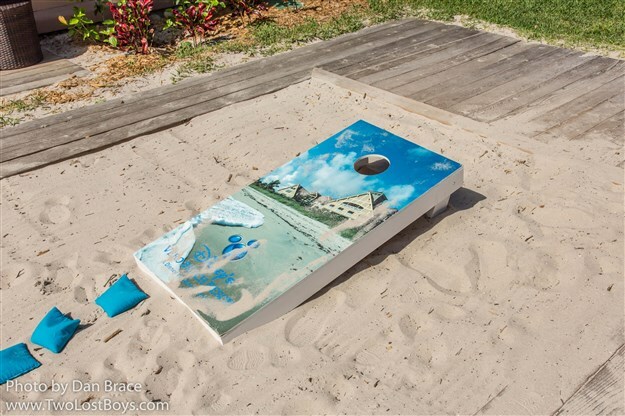 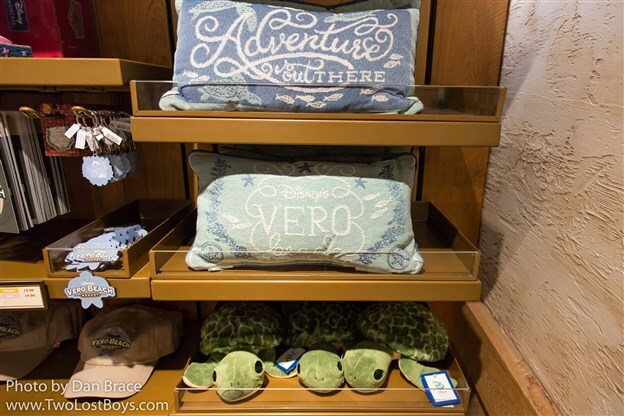 They mostly sell generic Disney beach items, snacks and beachwear, but there is a limited number of Vero Beach specific items, which is neat. 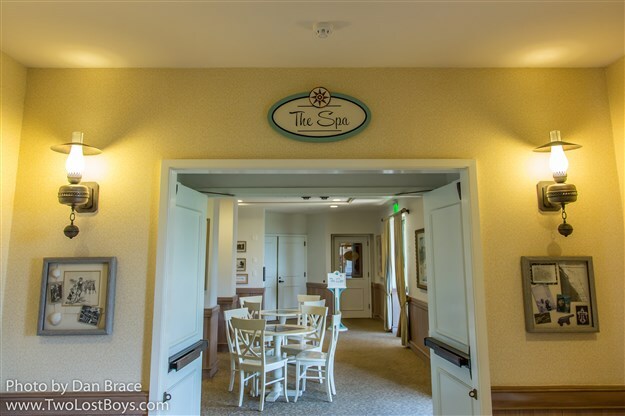 Heading down the corridor to the left, you come to the spa. 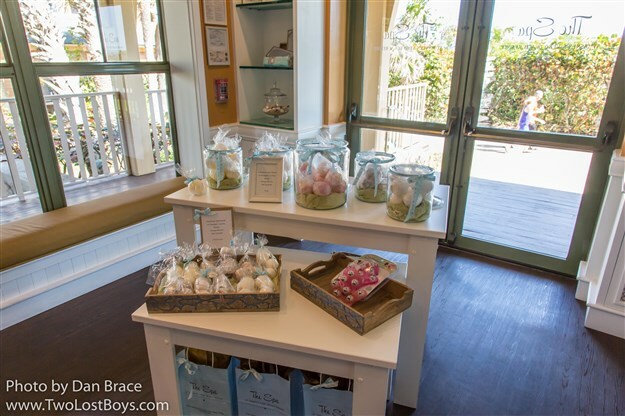 It's a fairly small venue from what we gather (we didn't get any treatments), with a small store and a door to the outside. 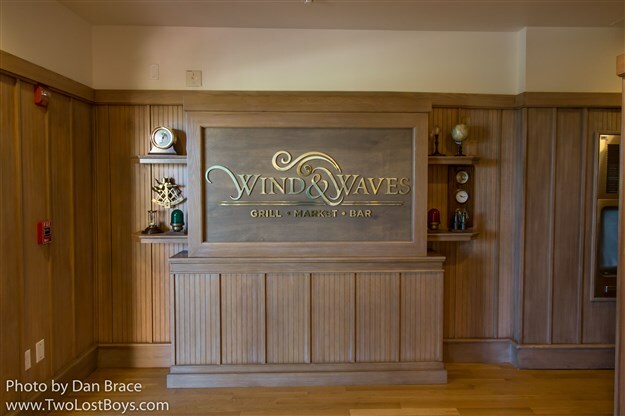 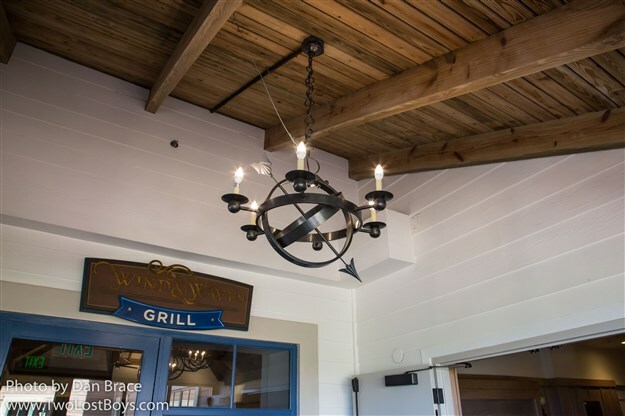 Back down the opposite end of the hallway there is a small kid's TV area, and then the entrance to the Wind and Waves grill, market and bar locations. 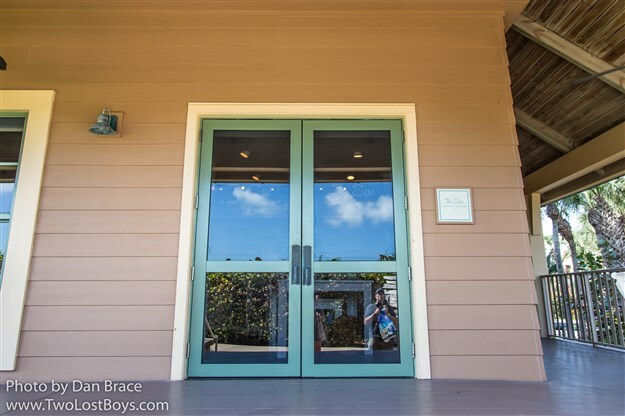 Actually, all three can be accessed separately from the outside, but I guess they consider this the "main" entrance from within the main building. 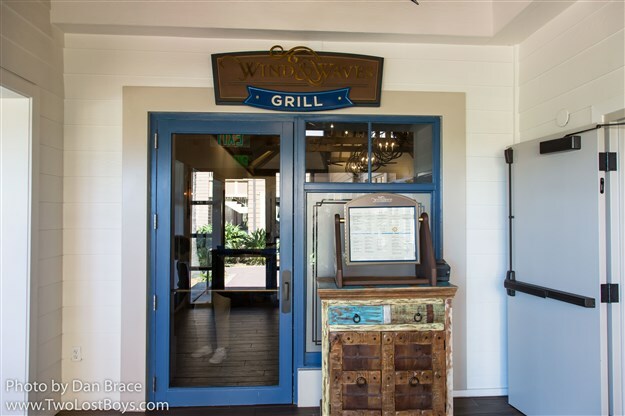 As I said at the start of this report, we only visited for the day, so we did not try the food at the Wind and Waves Grill. 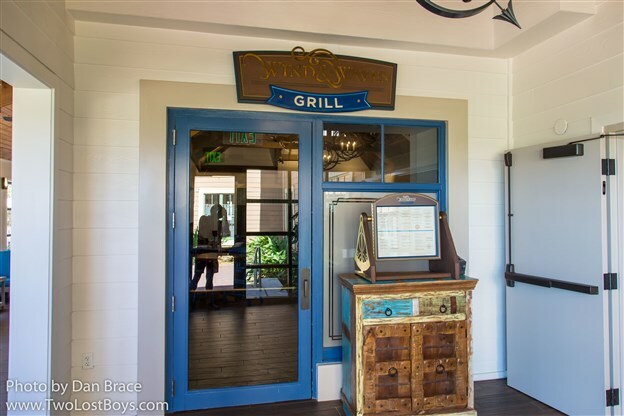 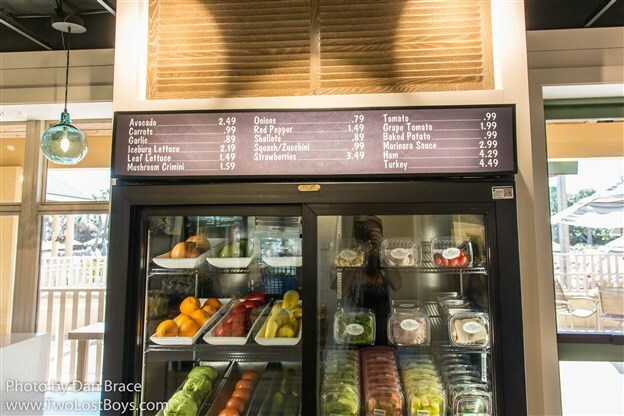 The bar and market menus were similar to what you would find at any other Disney property, so I doubt there were any gems we missed out on at those (the market menu included hot dogs, chicken nuggets, caesar salad, and a bacon cheeseburger - so very standard Disney fare). 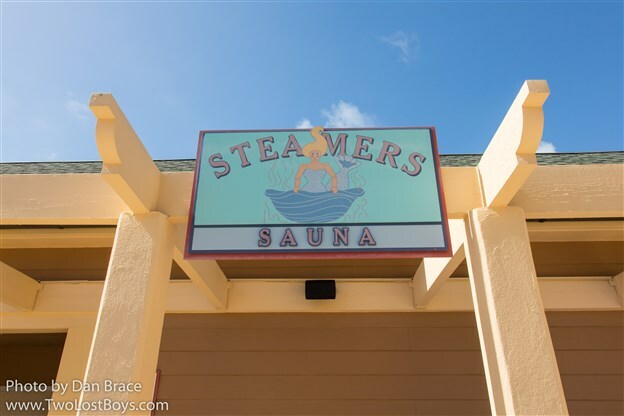 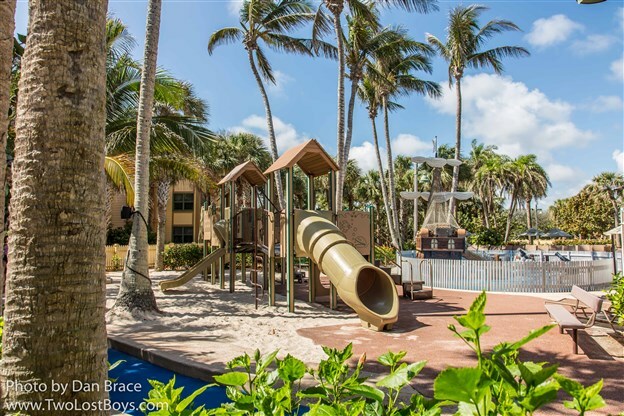 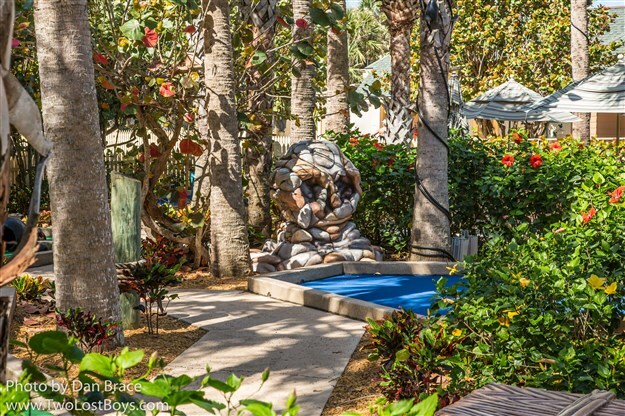 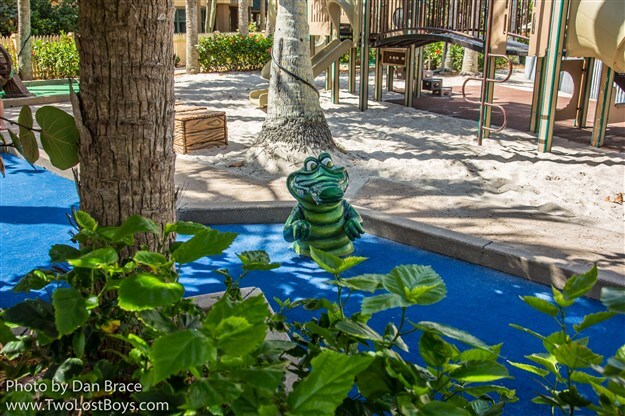 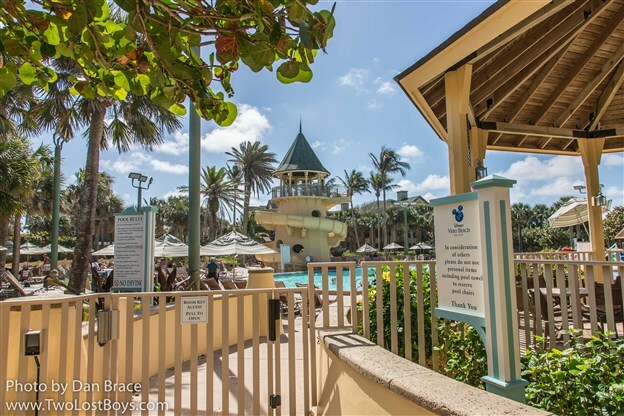 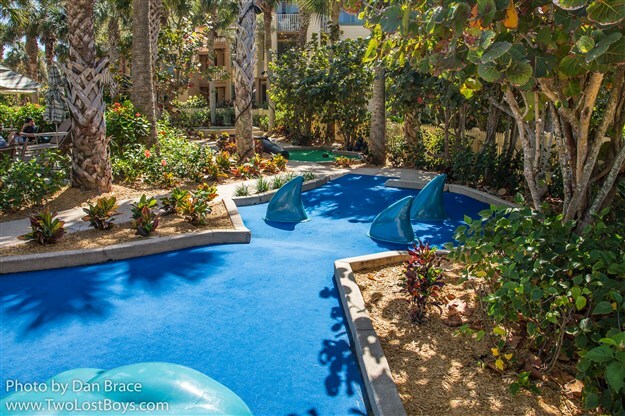 Stepping outside and you find the main pool, hammocks, various outdoor games, bicycle rental, and miniature golf. 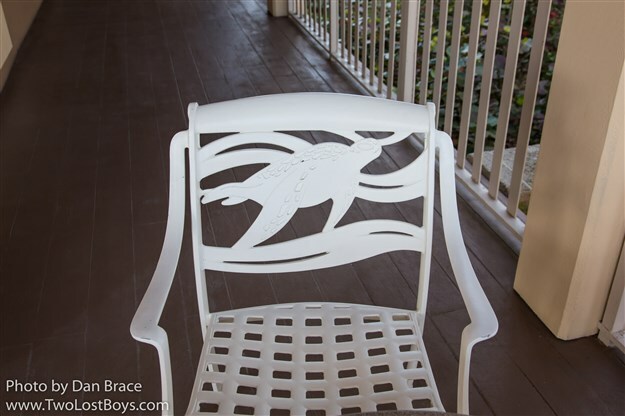 There are chairs which continue the sea turtle theme, too. 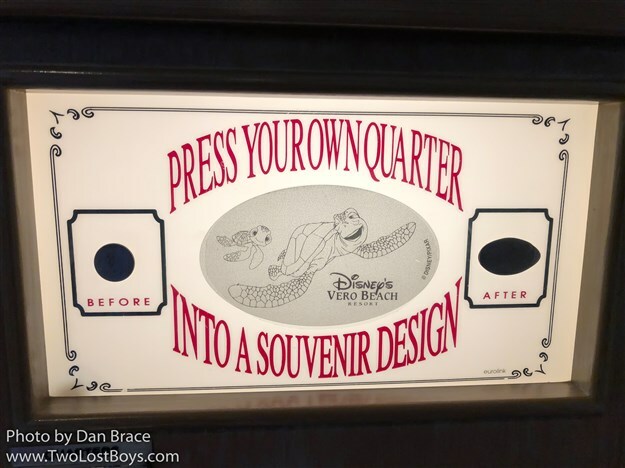 There are some amusing signs which make some good play on words. 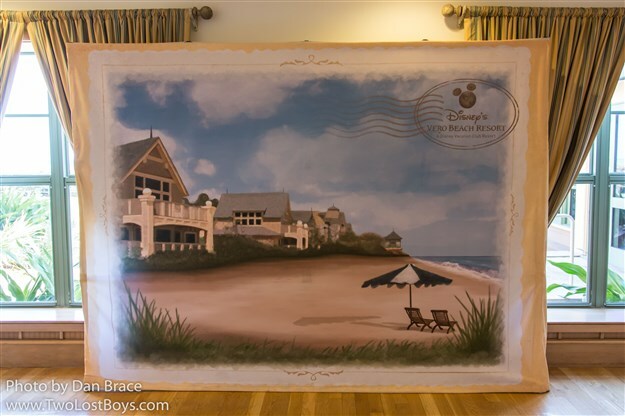 Here's just a few more shots around the property, including the private beach, before we get to our main reason for visiting - character dining! 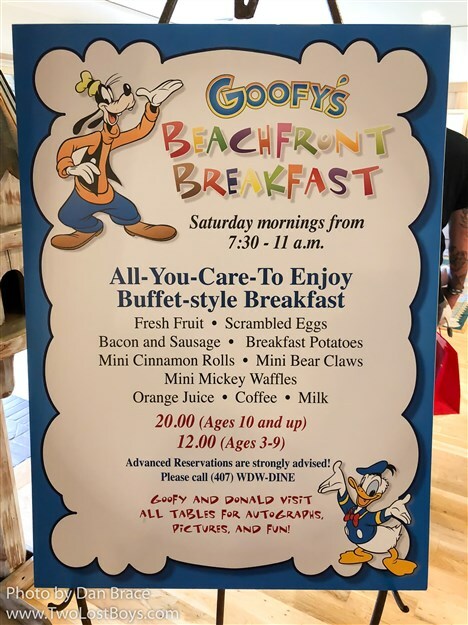 Finally we come to the main reason we drove out to Vero Beach - to attend Goofy's Beachfront Breakfast character dining! 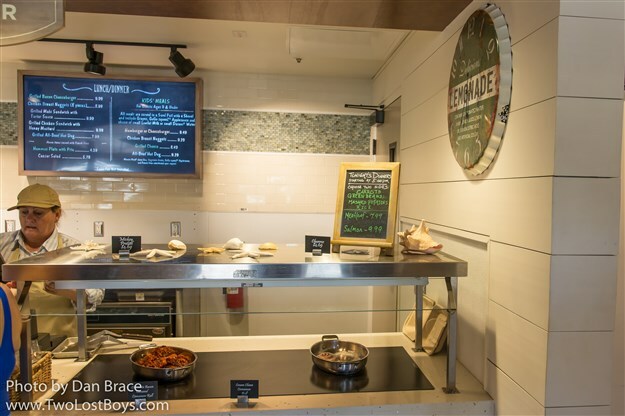 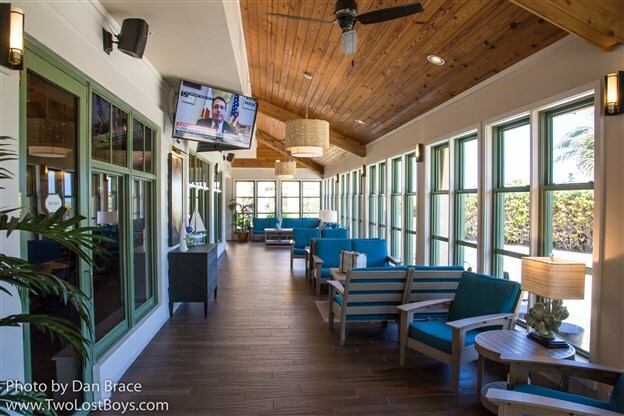 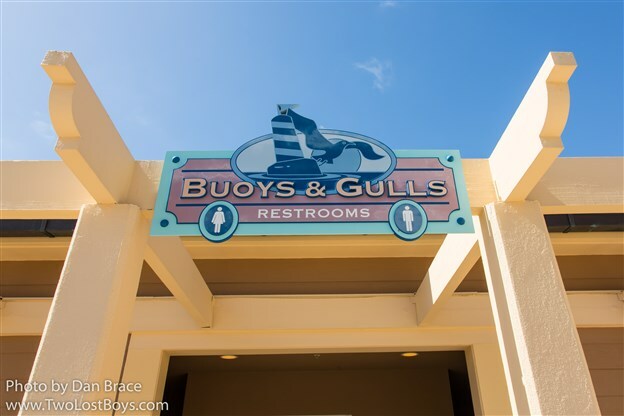 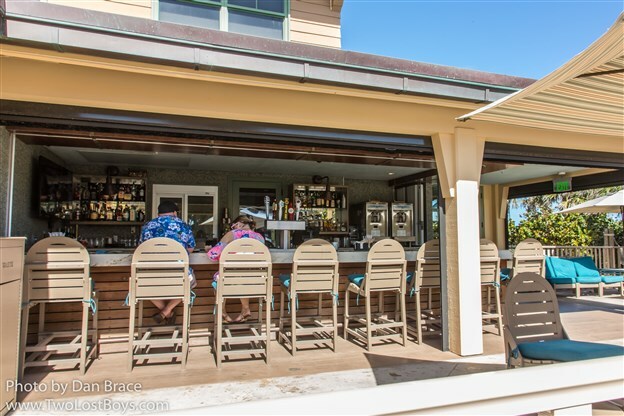 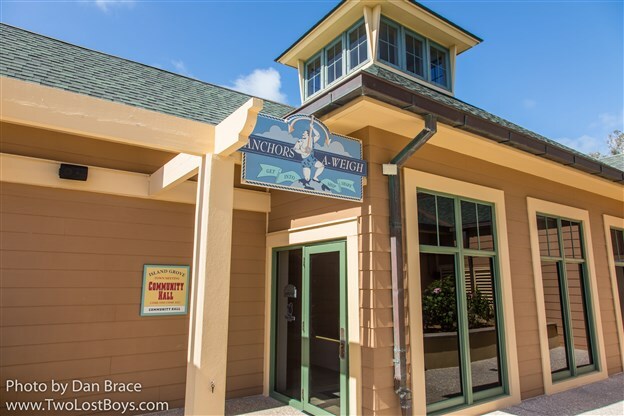 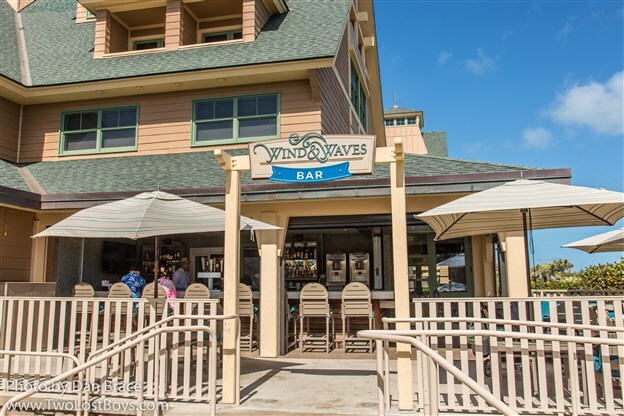 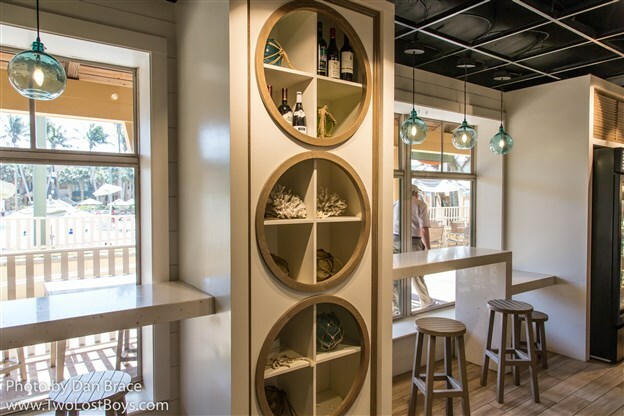 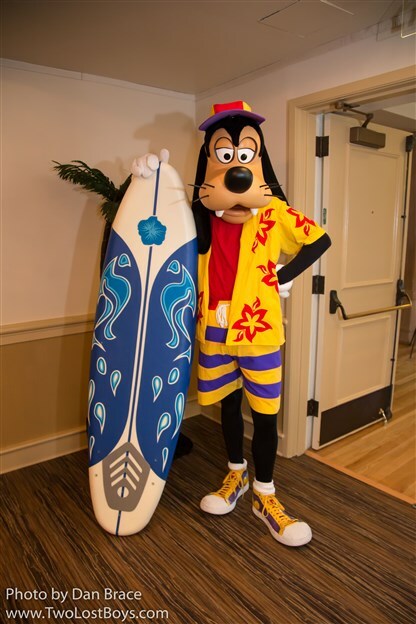 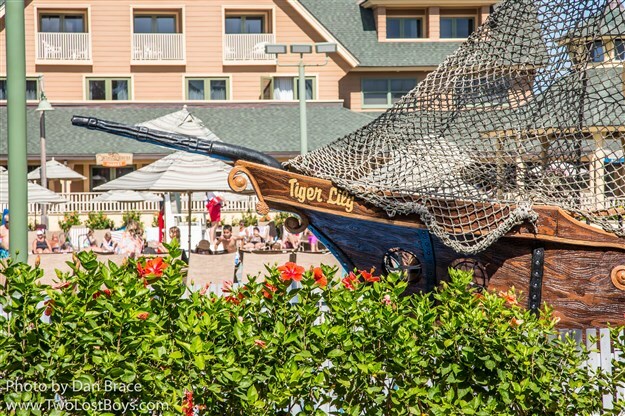 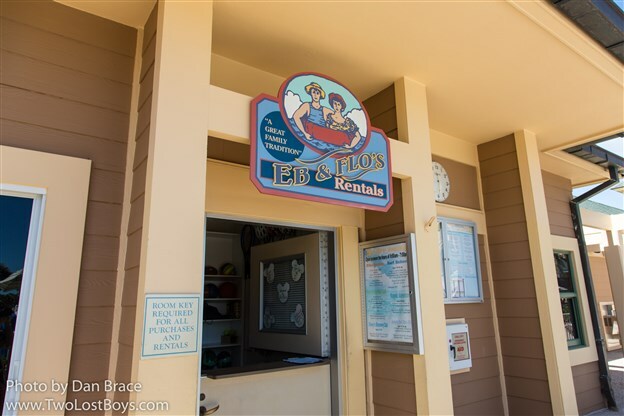 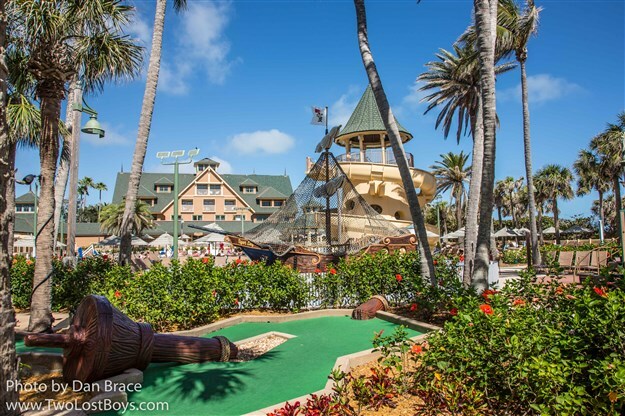 The character meal is held from 7.30am until 11am on Saturdays, at the Seagrape, which is near the Wind and Waves Grill. 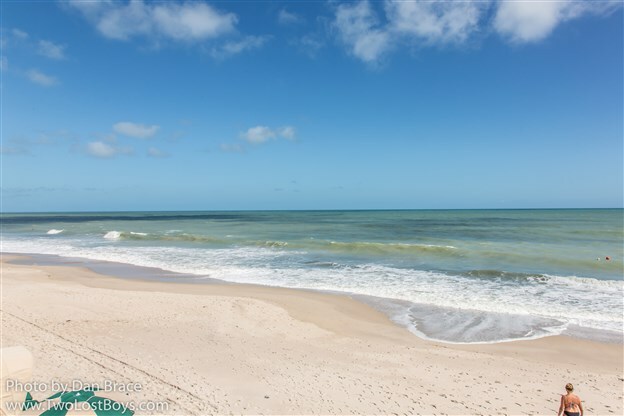 It is Vero Beach's equivalent of a conference room/ball room/special events room. 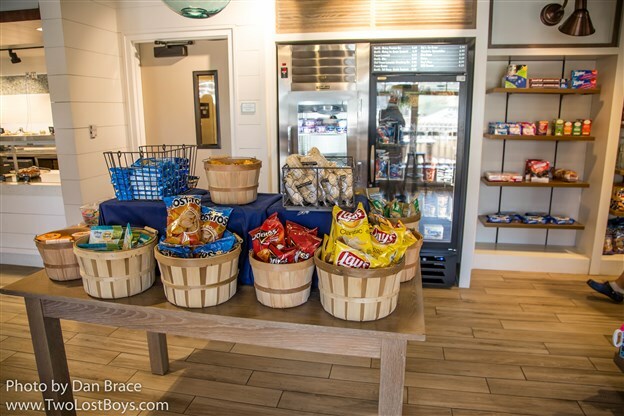 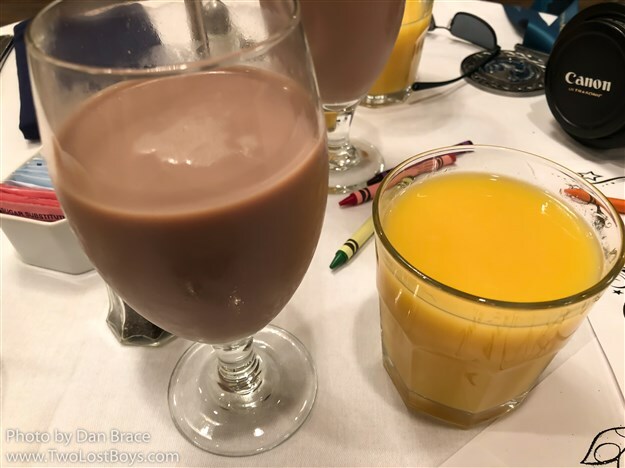 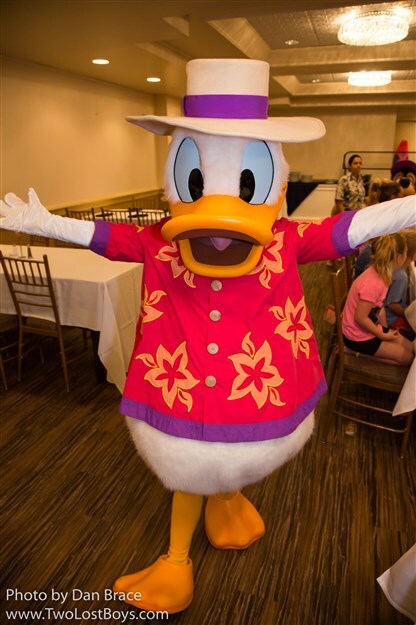 I guess for whatever reason they can't accommodate the character breakfast in the main restaurant, and since it's only once per week, they hold it in the conference room. 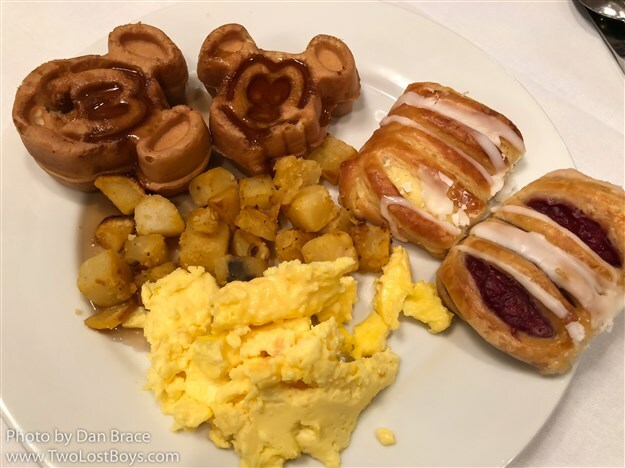 I'll admit, it's a fairly bland space, but for $20 per person for a hot buffet breakfast with two Disney characters, you really can't complain! 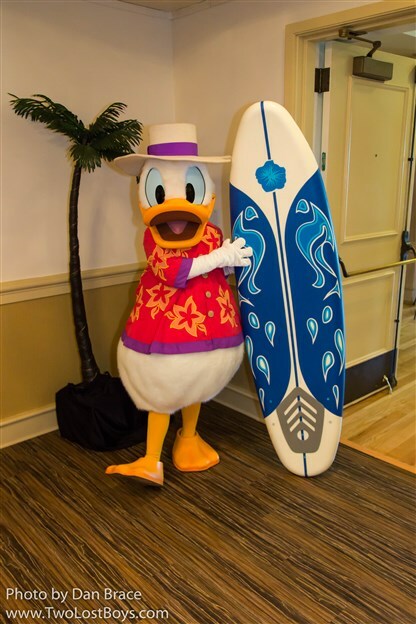 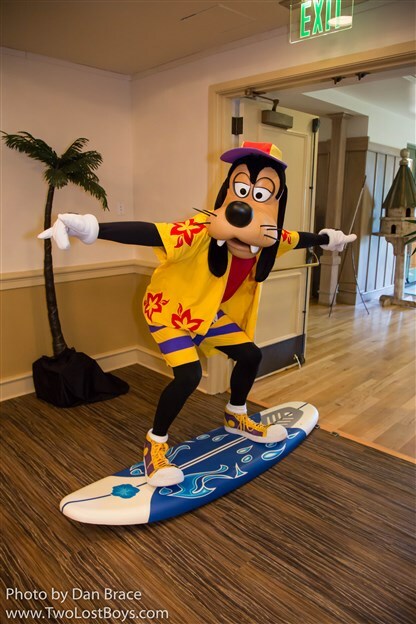 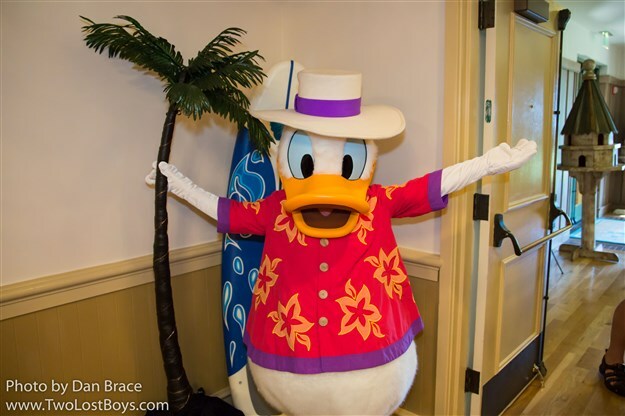 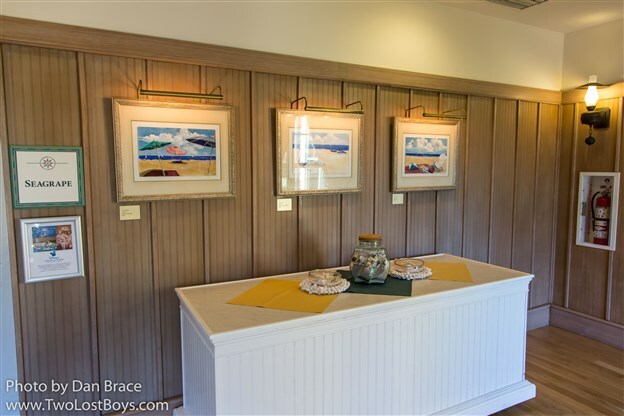 Donald and Goofy have special Vero Beach specific outfits, and the room is so small and fits so few people, you'll end up seeing the characters come around several times, and interact on a more personal level, during a fairly short visit. 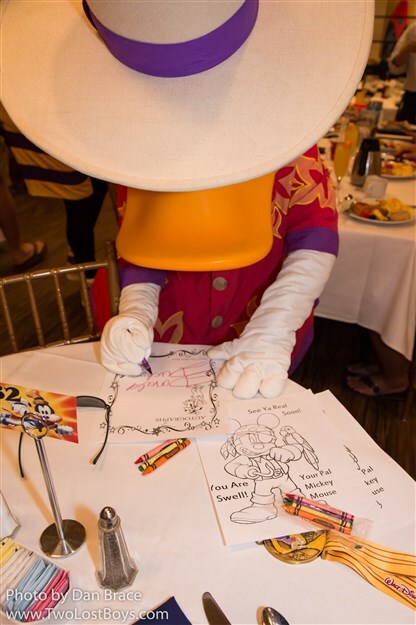 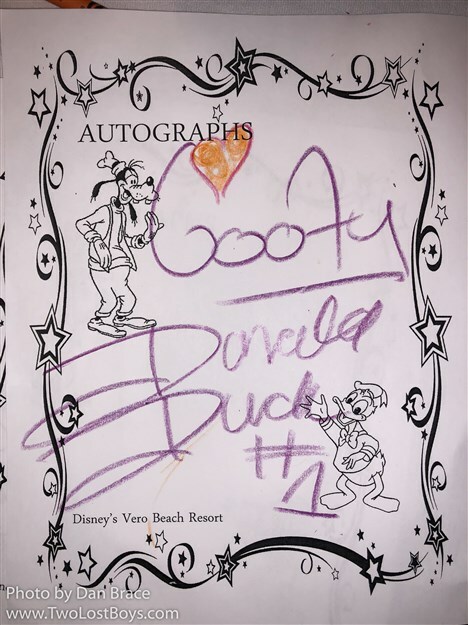 A cute idea that the location offers is Vero Beach colouring pages that the characters sign. 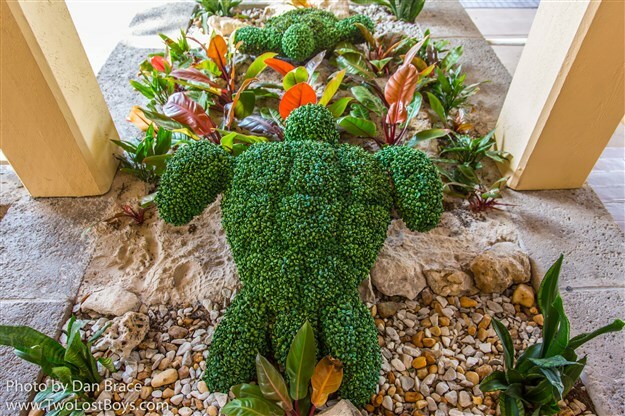 I thought that was a nice touch. 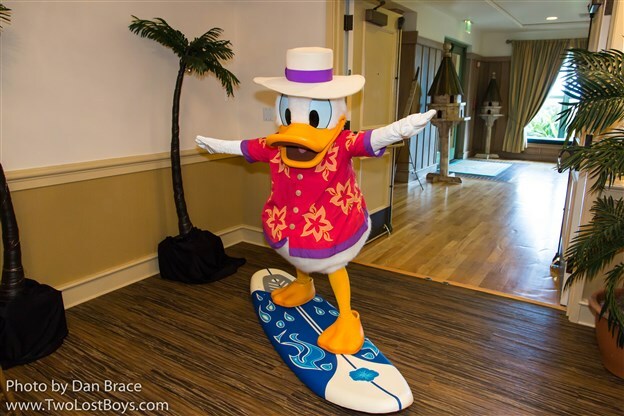 Whilst it was a two hour drive for breakfast, I feel it was definitely worth it to see the resort, and to see Goofy and Donald in their special outfits. 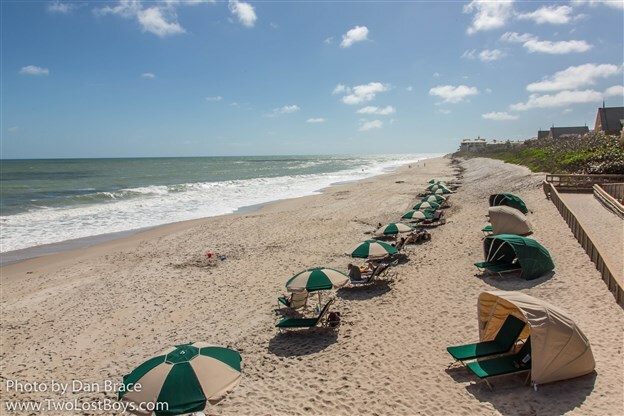 I'd recommend if you're looking for a change of pace and something a little different than the theme parks, Vero Beach is a nice distraction.